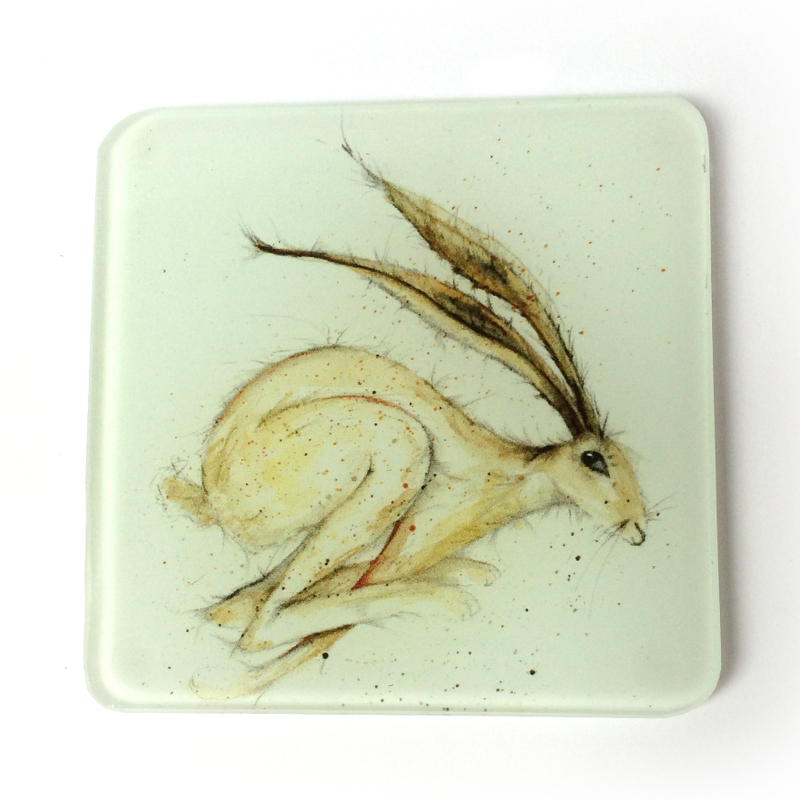 Put down your drink and protect your table from heat or spills in style with these lovely Hadley Hare Glass Coasters. A perfect present for a friend, or perhaps a little treat for your own home! The Coasters measure 10cm by 10cm and are made in the UK from recycled glass. They are heat resistant and durable, and have four small plastic feet to prevent scratching surfaces, making them as practical as they are beautiful. Display them along with other Coasters from the collection to lend a real country feel to your home. Beautiful tea towel, pattern is lovely. Beautiful tea towel, pattern is lovely. Such good quality too. Easy to order and fast delivery.